Welcome to the website of double board-certified Beverly Hills Plastic Surgeon Dr. Eugene Kim. Dr. Kim offers a full array of plastic surgery procedures to address all of your aesthetic goals. He and his talented team are committed to delivering first class treatment consisting of highly personalized care and exceptional results for all of their Beverly Hills and Los Angeles patients. Beverly Hills plastic surgeon Dr. Eugene Kim places an emphasis on patient education to help you make the best possible decision about your plastic surgery procedure. At your initial consultation, you will receive Dr. Kim’s undivided attention while you express your concerns about your appearance and have all of your questions answered. Dr. Kim blocks off at least an hour for these consultations, but will spend as much time as necessary to ensure you fully understand what to expect before, during, and after the procedure. Dr. Kim believes it is important to avoid medical terminology when educating you about your desired procedure. He often uses illustrations to help you better understand what to expect and what can be accomplished. Thank you Dr. Kim for making me look like a million bucks. I love my new fresh look. I will be back for sure! - Rafaela W.
We invite you to visit Eugene Kim Plastic Surgery, get to know our staff, take a tour, and then decide if you would like to take the next step. We never pressure patients to make a decision, and we will only recommend a procedure if it will be the most effective way to achieve your aesthetic goals. The more you interact with our team and research the possibilities which can be achieved at our Beverly Hills plastic surgery practice, the more you will begin to see how special we really are. 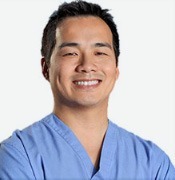 Please contact Dr. Eugene Kim today to schedule your free personal consultation. We serve patients in Beverly Hills, Los Angeles, and Santa Monica, California.